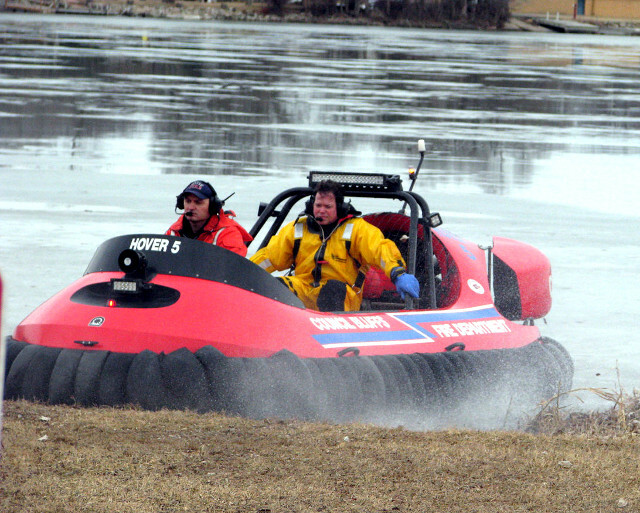 In 2015, Iowa’s Council Bluffs Fire Department purchased a new 6-passenger Neoteric rescue hovercraft. 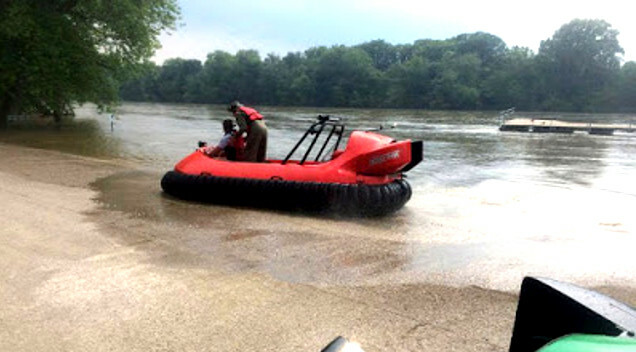 Immediately their first responders completed a Flight Training Course at Hovercraft Training Centers, which included flood rescue techniques on the Wabash River, then at 22.8 ft. flood stage. Council Bluffs Fire Dept. takes a quick test flight after a successful ice rescue Feb. 11 on Lake Manawa.